after the South American Amazon. The Congo River is the Earth's second largest river by volume. 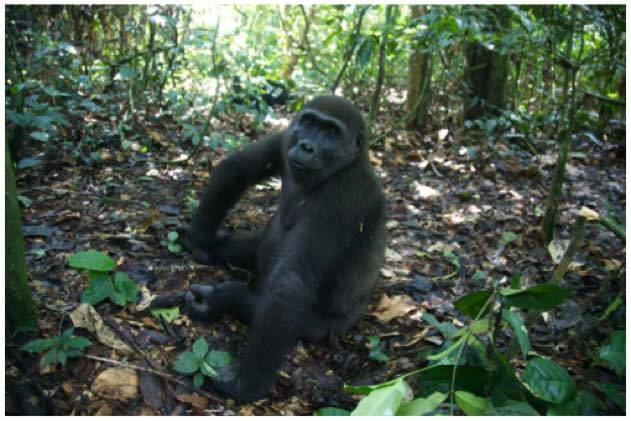 The western lowland gorilla dwell in the rain forest and swamps of the Congo, equatorial Africa. 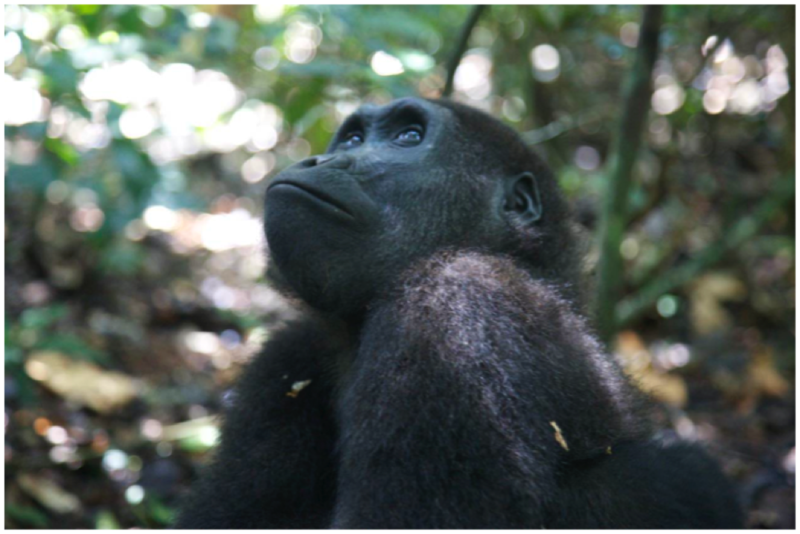 This young male is named Kusu. He was especially playful and curious. He rolled and clowned around in front of me as I snapped away. Then he did something I didn t expect. He came up next to where I was kneeled down and he laid down next to me and stared up at me. He reached out and touched and poked at my knee several times. We trekked into the Nouabal -Ndoki N.P. 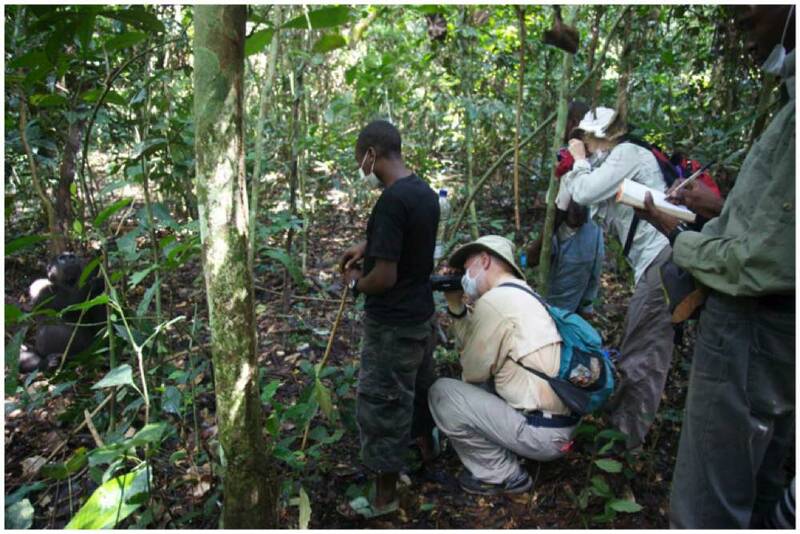 Congo's largest and most remote national park to visit the Mondika Research Center. 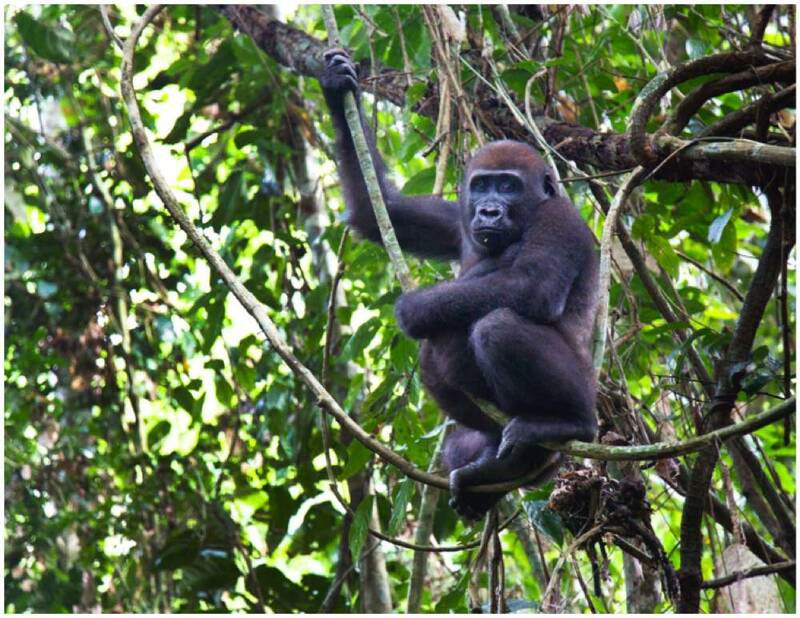 At Mondika, they have habituated 2 gorilla groups. It can take years and be very costly to habituate a group. The Ba Aka trackers and researchers must make contact with the group on a regular basis. 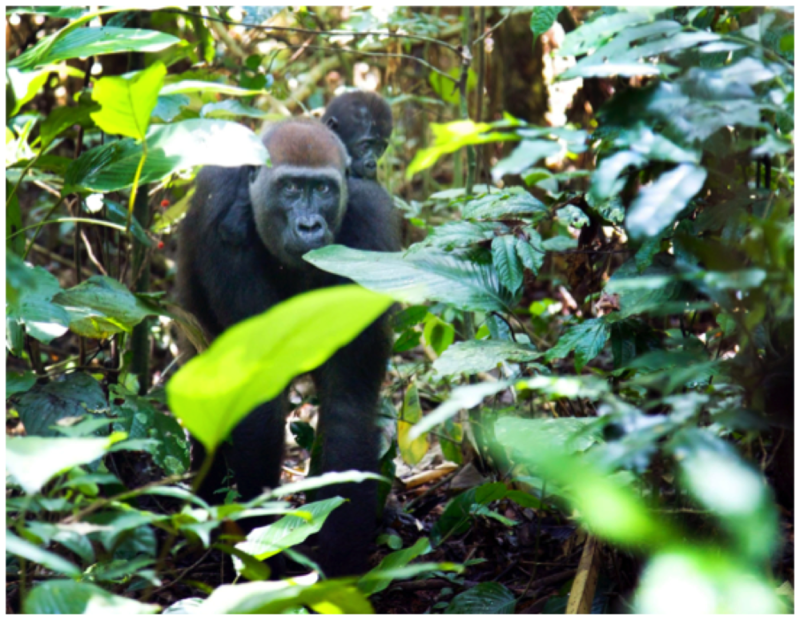 They make a clucking noise to let the gorillas know that humans are present and not a threat. 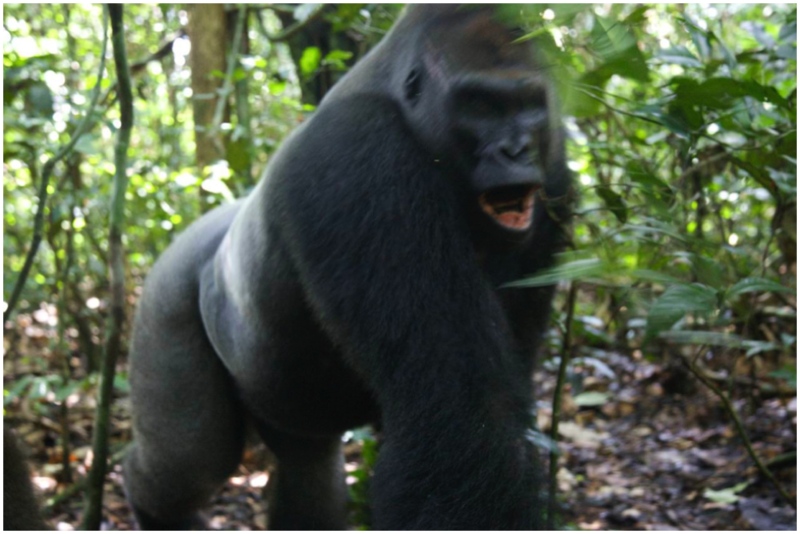 It can take years to overcome the silverback s aggressiveness and wariness. 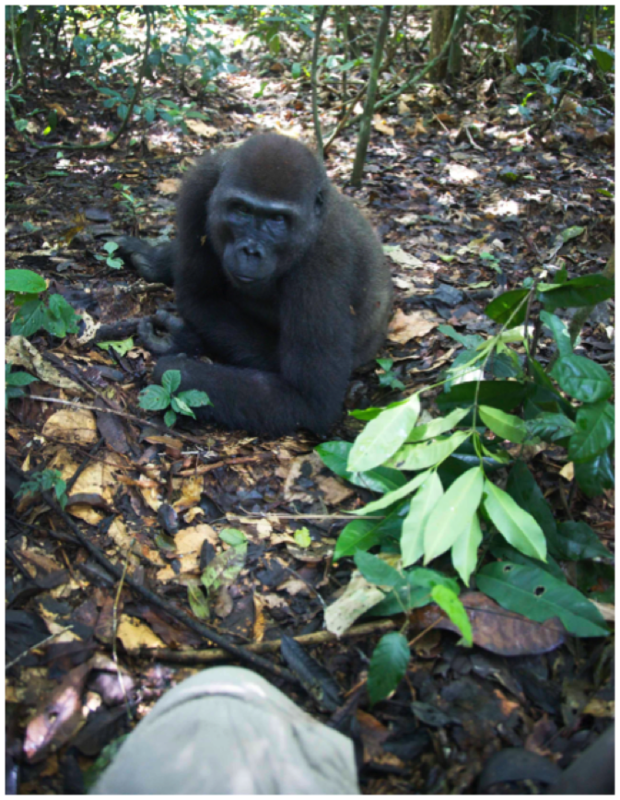 The gorillas are susceptible to all of our viral and bacterial infections. To visit the groups, you must document your overall health, TB, measles, yellow fever status. You are instructed to stay 7 meters, about 23 feet away from them and you must wear a surgical mask. 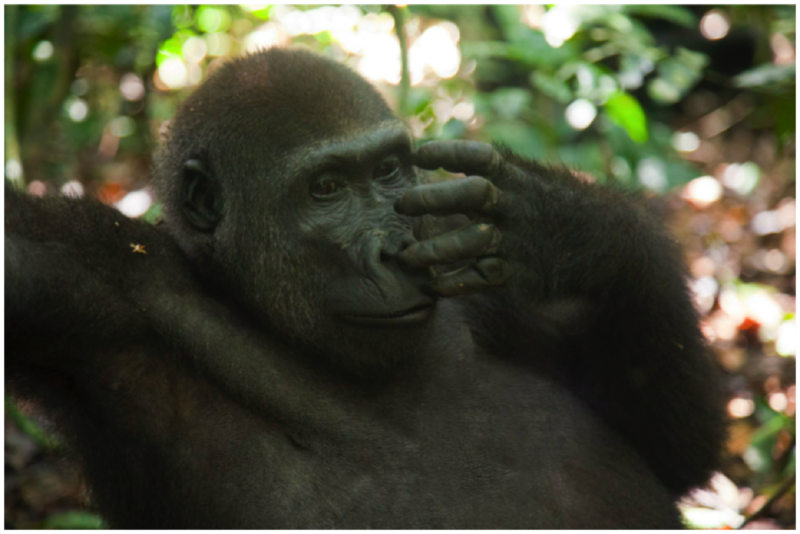 If a gorilla approaches you, you are instructed by the researchers to stay put, and look submissive, especially if the silverback is involved. He kept his big eyes locked on me as he touched my knee. An incredible experience... for me at least. broke off a small tree and started chewing on it. 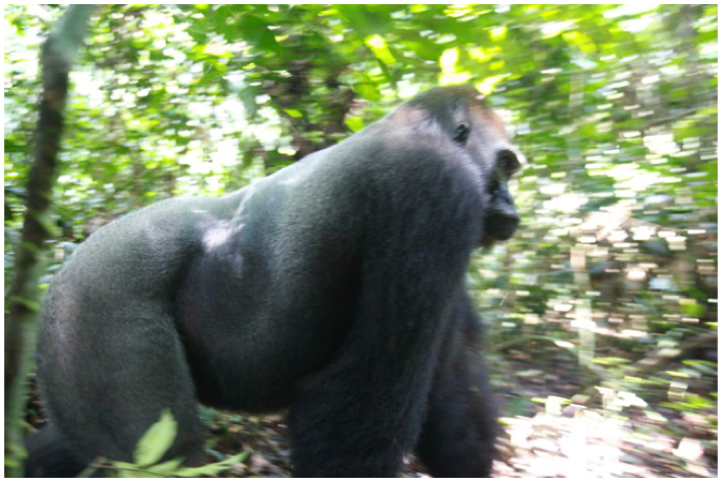 Kingo, the silverback leader of the group came up behind Kusu. He made a bluff charge at us. As I tried to back up a bit, the researcher next to me was saying Stay, Stay, Stay . Whatever you do, don t run! Maybe Kingo was telling us the touching part was over. I kept shooting images although the auto focus wasn t keeping up with Kingo as he ran by. His complete name is Kingo Ya Bole, meaning the loud voice . As I recall there was a loud roar associated with the chaos of his charge. 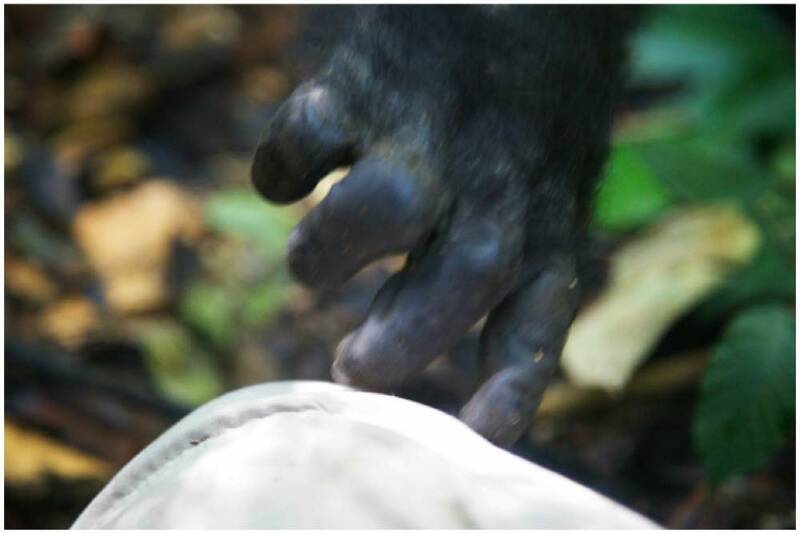 John Harrington captured video of my inquisitive new gorilla friend, Kusu, giving me a good poking and exam. 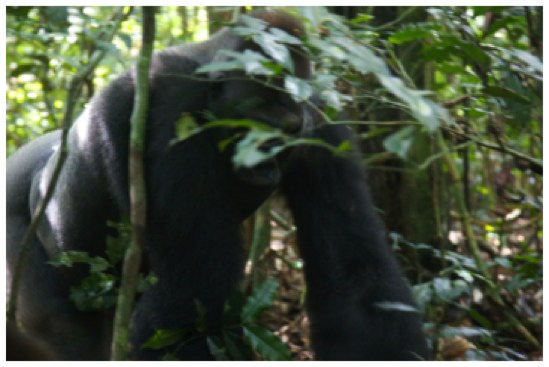 When the silverback Kingo comes through you can hear the researcher saying "Don't move", "Stay". It was one thing to be touched by Kusu, It would be an entirely different thing to be "touched" by Kingo. Mondika Research Center was started in 1995 by Professor Diane Doran to study gorilla behavior. 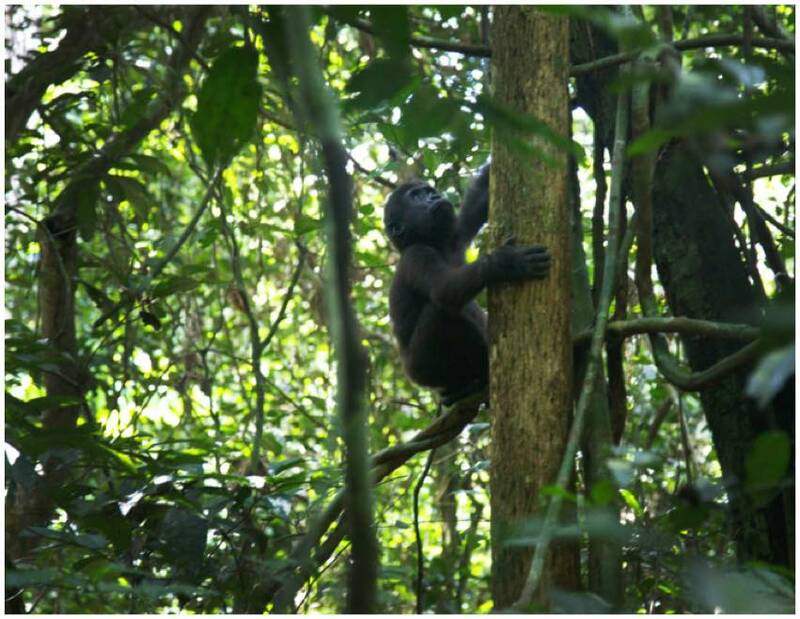 Kingo s group was the first habituated at Mondika. There are 12 individuals in the Kingo Group. 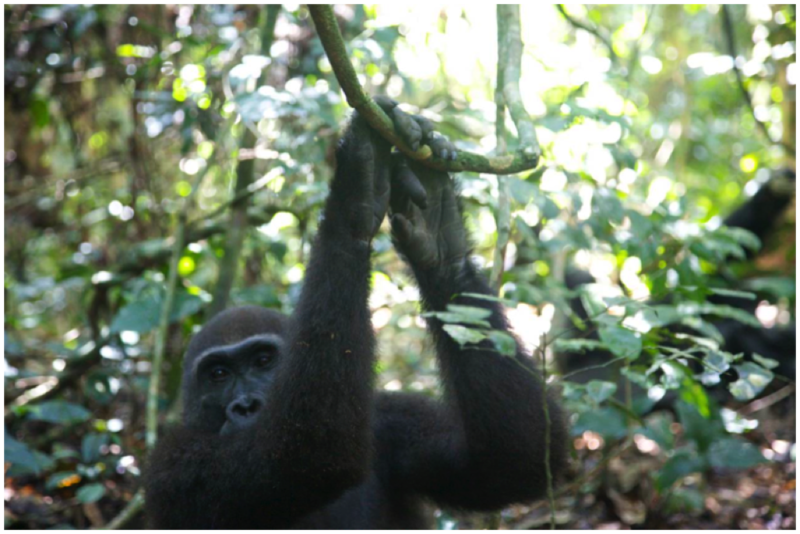 A second group, Buka s family, has also since been successfully habituated. 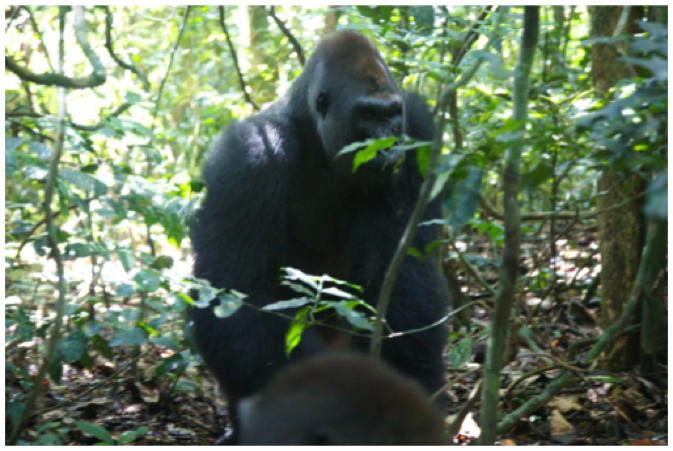 All aspects of the gorillas behavior and interactions are carefully observed and recorded by the researchers. 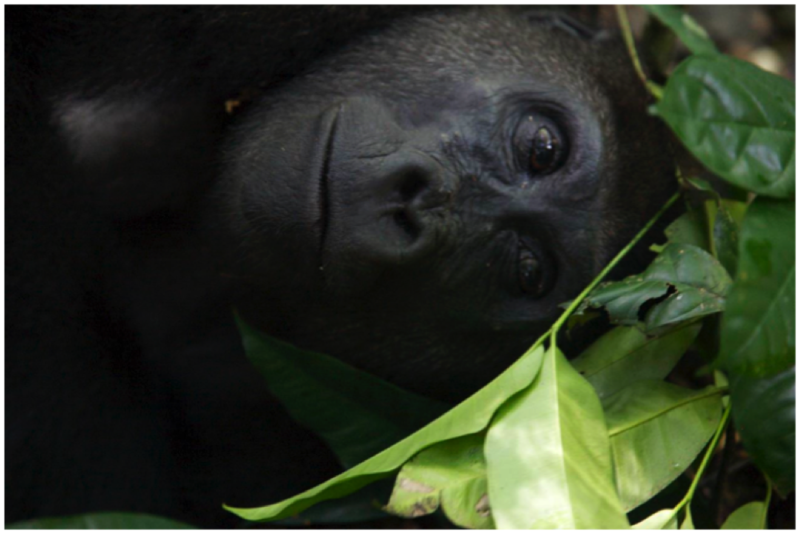 Since 2007, Mondika has allowed a limited eco-tourism project. With the revenues providing important funding for the research. As a rule, just 3 people are allowed to visit a group for just an hour. It may take an hour or more of trekking to get to the group s location that day. Notice the researcher making his notes. Please, All images are copyrighted by Jim Edwards and may not be reproduced in any form including the copying or saving of digital files without written permission or a contract from Jim Edwards Wildlife Photography.